SHANE PRIGMORE: One of my pieces for PEABODY and SHERMAN. 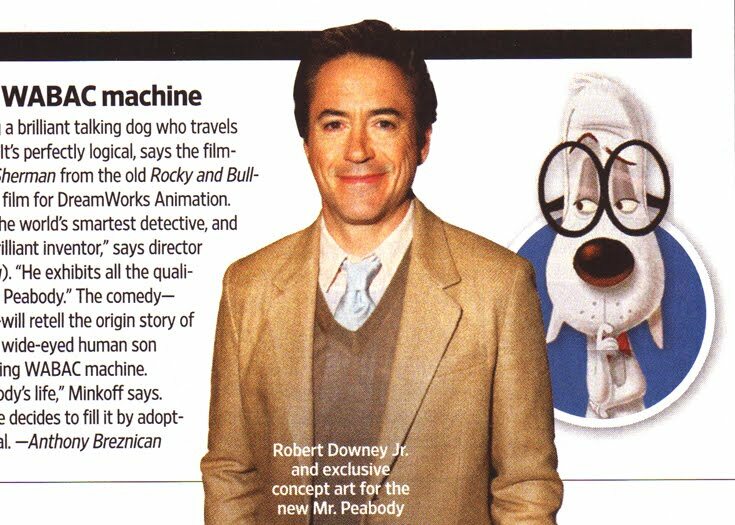 Dreamworks announced the Peabody and Sherman feature film in this weeks issue of Entertainment Weekly, and they happened to include one of my early concept paintings of Mr. Peabody himself. Right there next to Robert Downey Jr. (the voice of the smartest dog on earth). Peabody and Sherman was actually the first project I came to Dreamworks to help develop. There is much more development work by some very talented artists that I'm sure you'll be seeing in an art of Peabody and Sherman book sometime soon. The original 1960s concept of the worlds smartest dog, his boy, and a TIME MACHINE made this film so much fun to explore and play with! I remember seeing this up on cartoon brew. You did such an awesome job translating the flat design into a turn-able character while retaining the charm. I only hope the whole film looks this good! Oh this just made me incredibly happy. I had only heard rumors until just now. Can't wait for more images to be released! Great work! Very cool stuff. Can't wait to see the movie. Fabulous news! 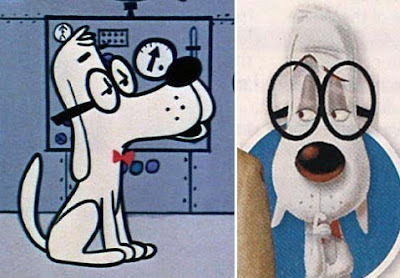 Love the Mr. Peabody design, RDJ will make him live! Something fun to really look forward to. CONGRATULATIONS Shane to you & all your co-vikings on How To Train Your Dragon's Oscar nominations!!! It's official! Can't wait to see more dev from the movie. Great painting, too. He definitely upstaged RDJ. That is some hot s#!t artwork there! Love it! I thought this looked like yours, when I saw it on Cartoon Brew. Congrats Shane! No wonder I was digging it so much. Hope the final vers. retains this one's simple charm. This is Robin from Axis Animation. Would it be possible to get your contact details regarding future work? Oscars 2016 Live Stream || The 88th Academy Awards Ceremony – The Oscars will honor the best films of 2015 and will take place on Feb 28, 2016, 4 P.M. at Dolby Theatre Hollywood, Los Angeles. It’s OSCAR night!!!! Doesn’t the word OSCAR make Goosebumps whenever you hear the word? Whoever chose the name was a genius, obviously we are going to find out the name of that genius. Really they kept the word as the name of their show. What a glamour, entertainment, award categories and so on……Isn’t it? Let’s get the details of this most wanted show. Press, On January 10, 2016 from Beverly Hilton Hotel. Ferrera, while Quaid is a former nominee. "Ever since I was a child I have had this instinctive urge for expansion and growth. To me, the function and duty of a quality human being is the sincere and honest development of one's potential. Hey guys this is awesome posts 4th Of July Wishes and US Independence Day Wishes plz more and more shares to social networking sites. Election results 2016 are still in the favor of Democrat Hillary Clinton, though there were a lot twists, since last few days. Presidential Election Results Winner 2016.